Bathrooms come in all shapes and sizes and all potentially with their own problems – a professional designer saves money and ensures functionality and cohesive aesthetics. When it comes to bathroom blunders, we’ve seen it all. Time after time, we are asked to renovate bathrooms where the original space is so full of mistakes it’s a miracle the client didn’t come to us sooner! 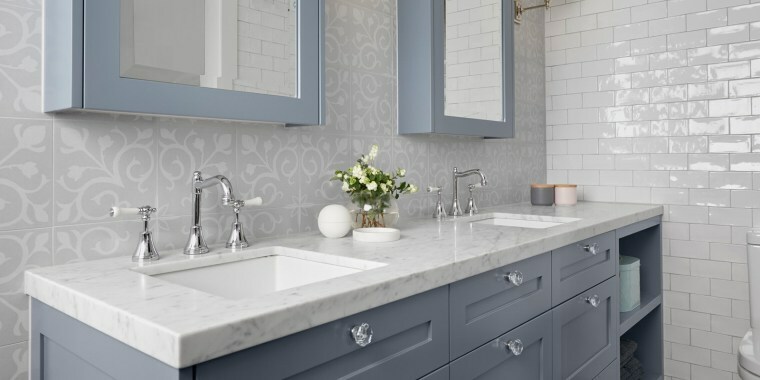 Before you start designing or building your dream bathroom, we recommend you familiarise yourself with these 5 renovation pitfalls, so you know exactly what to avoid, and what the solution is. Ironically, a DIY job will probably end up costing you more in the long run. The greatest mistake you can make when it comes to your bathroom renovation is to think you can do it yourself. Unless you are a fully qualified bathroom renovation expert, you can’t – at least not well. Attempting to design and renovate your bathroom yourself will, at best, result in an incoherent aesthetic, reduced functionality, and a lifetime of problems that continue to crop up. Ironically, a DIY job will probably end up costing you more in the long run. Avoid the mistakes and the mayhem by hiring a professional team of bathroom designers and builders. Intelligently planning your bathroom renovation budget is no simple task. There are so many elements to consider, most of which will probably come as a surprise to you if you’re new to the game. If you start buying before you have fully budgeted for all of the material and work costs (and any potential mishaps), you could swiftly discover your dreams were bigger than your bank balance, and end up with a half-finished bathroom. Speaking to a bathrooms renovation expert and planning out the entire renovation, fixture by fixture, material by material, is the easiest way to ensure this doesn’t happen. This is certainly the safest way to design and build a bathroom that is in line with your dreams and your budget, even if it involves some compromise. 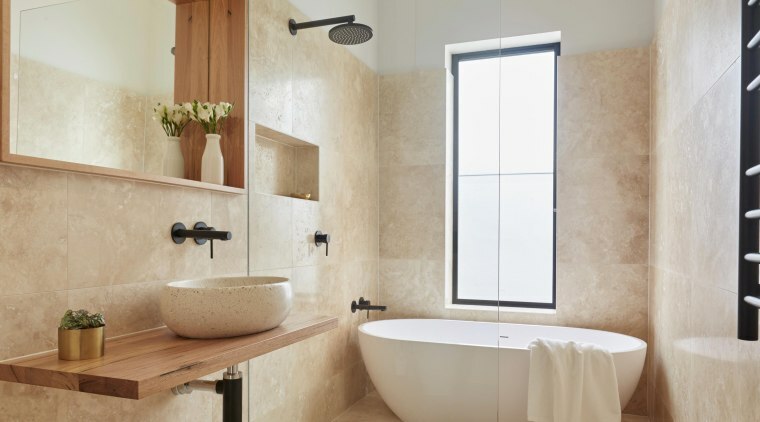 Never underestimate the importance of windows and natural light in your bathroom. There’s nothing more heartbreaking than discovering that your beautifully designed bathroom, full of rich materials and beautiful inclusions, is dark, damp and lifeless because you underestimated the importance of a window.We have established by now that employing professionals is the way to go. You will avoid these types of critical errors by going with the expert professionals. Working with experienced designers, you’ll discover the perfect window size and positioning to allow ample natural light to stream in and highlight all of your new bathroom’s best features. An experienced designer will also ensure the window can provide plenty of airflow to keep your bathroom fresh and dry. We love a freestanding bathtub – it’s the epitome of bathroom luxury and it’s definitely trending right now. But these opulent tubs were designed for spacious environments, free being the keyword. Investing in such a tub only to place it right in the corner of the room or adjacent to a wall will serve no purpose – in fact, it will cause you trouble.To avoid inaccessible damp and dirt down the sides, either position your beautiful freestanding tub away from any walls, or opt for a regular, wall-mounted tub – there are modern ones that look just as good. Without drawers, where are you going to store the products that usually live in the bathroom? 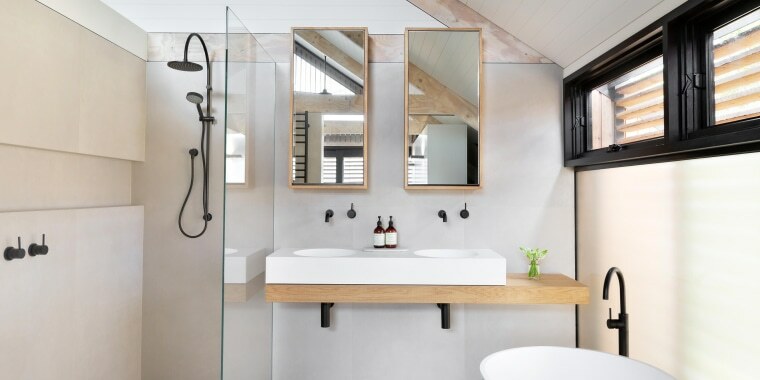 Sleek and streamlined bathrooms are nice to look at, and minimalism is certainly a popular style. But going overboard on trying to craft this look will inevitably result in a lack of storage. Without drawers, where are you going to store the products that usually live in the bathroom? And without railings or hooks, where are you going to hang your towels and bath mats? Failing to create enough storage space is setting yourself up for frustration and a messy environment.An experienced bathroom designer will create clever storage solutions that deliver ample space without overcrowding the room or dominating the design. 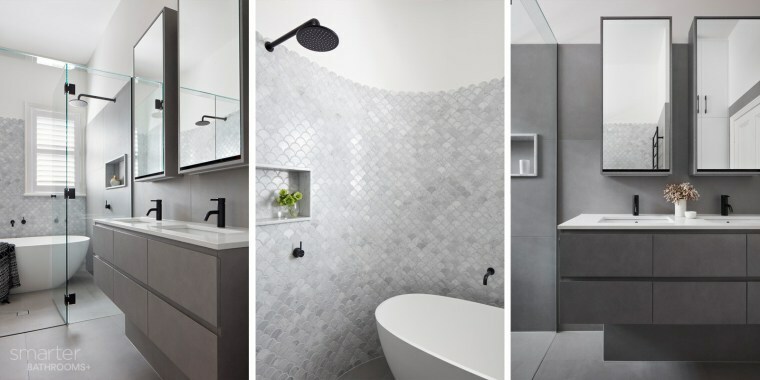 By intelligently incorporating these solutions into your bathroom design you’ll enjoy the subtlety of a sleek aesthetic with all the convenience of storage space.You’re now equipped with all the knowledge you need to avoid the biggest bathroom blunders, but trust us, there are plenty more renovation pitfalls out there. For a seamless and successful bathroom renovation, contact Smarter Bathrooms.